Run Bike & Forging Fitness: Biking is more fun than just "exercising"
Our Tuesday night ride was modified because the singletrack was too wet/muddy from all the rain. So we rode Umstead instead which never closes and has dirt road trails that are rideable even after a lot of rain. This still meant we got a little muddy in some wet spots on Cedar Ridge but it was still a good ride and we got about ~17 miles + I got 4 more miles of greenway to get back home. It was a leisurely paced ride but I did try to accelerate on the hills instead shifting into the granny gear and just spinning. 7. She gets to travel around the world doing races with a Topeak/Ergon sponsorship and she works for Ergon- she is living her dream. Sonya Looney has a lot going for her and was extremely personable which helps to make her the face of Ergon. 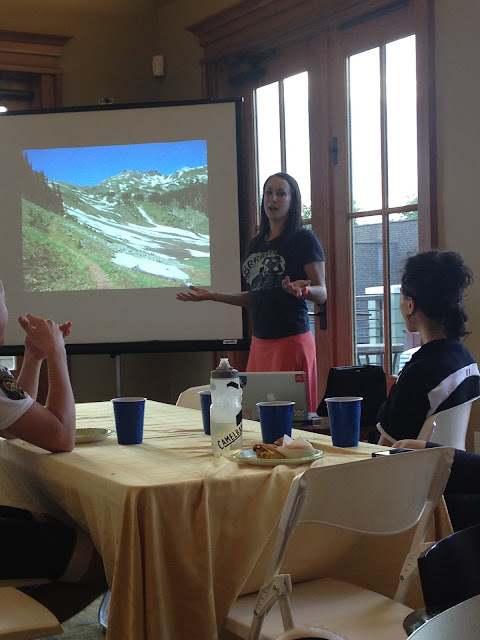 I'm really glad I made the hike out to Briar Chapel (a good 45 minute drive from where I live), it was a great ride and great presentation/Q&A session by Sonya. 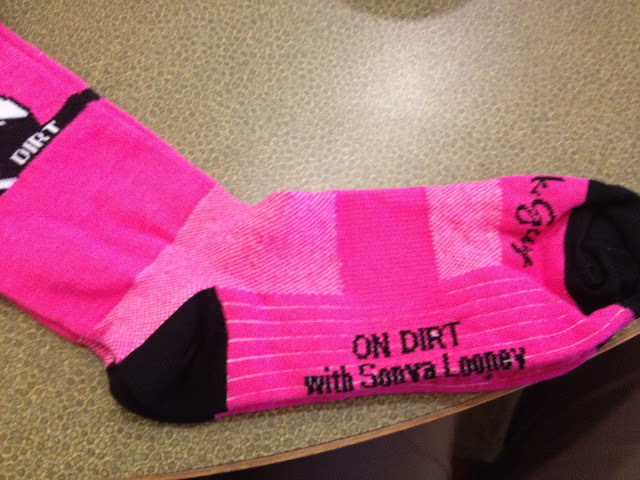 And afterward they had a raffle and I won a pair of cool pink socks. Good times biking.